FOUNTAIN CITY (October 15) – Day two proved to be even colder than the first night with a harsh wind directly blowing right into the grandstands, but many fans braved the weather to usher out the season at Mississippi Thunder Speedway. All new winners graced victory lane. Triple-duty driver Tim Johnson made it a clean sweep in the WISSOTA Super Stocks as he won from the pole. Anthony Zvorak had a great run winning the WISSOTA Street Stock season finale, and Bob Timm finally got to the winner’s circle after taking runner-up honors more than a handful of times this season. Tyler Limoges made his long haul from Redwood Falls, Minnesota pay off with a clean sweep in the WISSOTA Midwest Modified division. 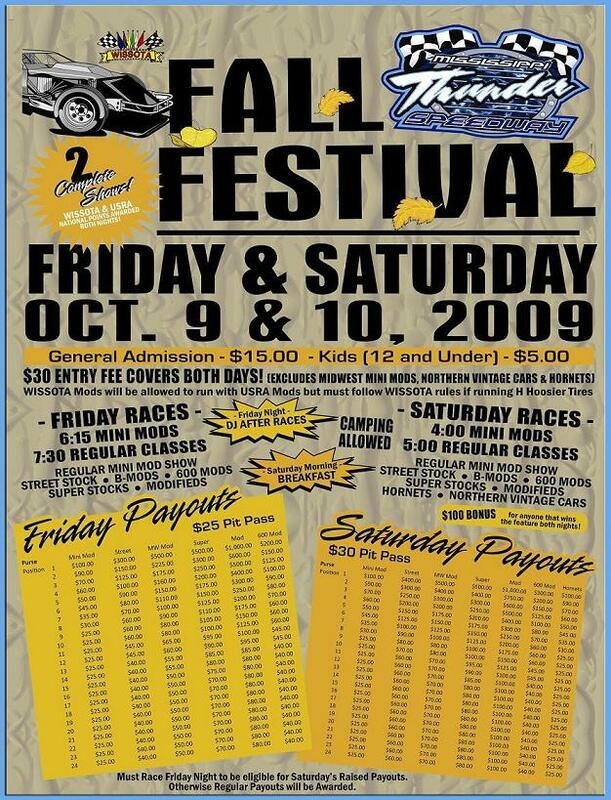 FOUNTAIN CITY (October 12) – The pits were overflowing on an extremely cold night to start off the first annual Mississippi Thunder Speedway Fall Festival. Five heats for both the WISSOTA Midwest Modifieds and the USRA Modifieds resulted in two B-Mains for each of the classes. The WISSOTA Street Stocks had a good turnout with 33 cars forcing a single B-Main for the class. But first a moment of silence was offered for the loss of local veteran racer Marv Fenske. Fenske passed away of cancer, and two sons, Karl and Derrick, followed in his racing footsteps. USRA Modified driver Lance Hofer was also acknowledged as the Winona Radio Driver of the Week for the September 4th Pit Stop Challenge Event. FOUNTAIN CITY (October 8) – Mississippi Thunder is excited to announce the Hyvee of Winona sun glass give away at this weekends Fall Festival. Hyvee has donated (300) pairs of racing sun glasses to be given away througout the weekend. We will be giving the sun glasses to the first (150) people in the grandstands both Friday & Saturday. FOUNTAIN CITY (October 7) – Mississippi Thunder is excited to announce Images on Metal as the 1st annual Fall Festival sponsor. Look for many free prizes to be given out throughout the evening compliments of Images! FOUNTAIN CITY (September 3) – The tradition of "A Season Ending Festival of Racing" continues . . .
FOUNTAIN CITY (September 6) – No one knew quite what to expect with the 30-lap features ahead with a mandatory 10-minute pit stop at 15 laps. Jared Boumeester made his trek from Waseca, Minnesota worthwhile in the WISSOTA Midwest Modifieds while Troy Langowski sailed into the lead in the WISSOTA Super Stock feature late to make the win his. 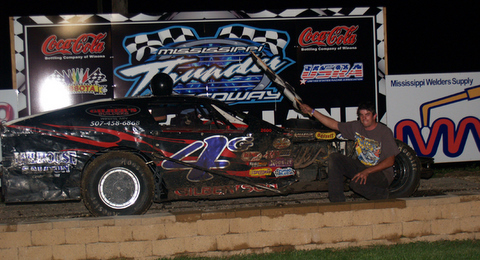 Dan Bork won in the WISSOTA Street Stock division, and Josh Angst proved to be the man to beat in the USRA Modifieds. FOUNTAIN CITY (August 31) – The 1st annual Pit Stop Challenge Race this Friday, September 4th, will be Fan Appreciation night. Free prizes will be given away throughout out the evening including 2 free bikes! There will be a bounce house for kids and a DJ and party in the hospitality area directly following the last feature. Join us for an evening of action packed racing as we celebrate the support of all our fans troughout the 2009 season. $1 beers following the races in the beer garden!! FOUNTAIN CITY (August 28) – A heavy rain soaked the track as haulers rolled through the pit gate leaving a muddy mess and puddles everywhere. Track work began and something nearly unheard of in a very long time; a call to all drivers to help roll the track in. Nearly two hours later, the first heats pulled onto the track for season championship night at Mississippi Thunder Speedway. Season Championships Friday, August 28th at MISSISSIPPI THUNDER SPEEDWAY Sponsored by Lou Fegers Racing Equipment! FOUNTAIN CITY (August 25) – Mississippi Thunder Speedway is excited to announce Lou Fegers Racing Equipment as the Season Championship night sponsor. Free gift bags will be given out to the first 100 drivers in the pit gate as well as many prizes to be drawn for throughout the evening. FOUNTAIN CITY (August 21) – Racing after days of constant rain when all other tracks in the area canceled? That is exactly what happened at Mississippi Thunder Speedway on Friday, August 21st to the tune of 136 cars and stuffed grandstands. The USMTS Modifieds were back in town on their quest to crown a champion. Forty-eight drivers from across the country and as far away as Texas converged on Mississippi Thunder to beat down the path to the coveted crown. Rochester’s Tim Donlinger capped the strong field of visitors and locals in the 25-lap, $3000-to-win feature. FOUNTAIN CITY (August 15) – UNITED STATES MODIFIED TOURING SERIES (Presented by Coca-Cola Bottling Company of Winona) and the BAEHMAN LAW Midwest Modified Challenge Coming to MISSISSIPPI THUNDER SPEEDWAY! FOUNTAIN CITY (August 14) – Harley-Davidson of Winona sponsored the night at Mississippi Thunder Speedway with prize giveaways and introduce Flat Track racing motorcycles to the MTS crowd. Two green-white-checkered finishes were in store for the fans, and Ben Anderson heated things up in the WISSOTA Midwest Modifieds. Cory Crapser cleaned things up in the WISSOTA Street Stocks, and Tanner Brown and Alex Williamson headed to victory lane in the Midwest Mini Mod divisions. FOUNTAIN CITY (August 7) – The additional 600cc Pro Flat Track bike races and the sponsor Harley Davidson of Winona have been rescheduled for August 14. August 7th races at MISSISSIPPI THUNDER SPEEDWAY Sponsored by Harley Davidson Shop Of Winona! FOUNTAIN CITY (August 1) – All spectators riding to the track on motorcycles will receive a $2 off admission coupon at the gate! The night will also feature 600cc Pro Flat Track bike races! 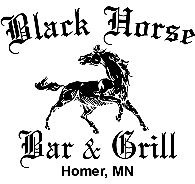 Many free prizes will be given away and Harley will have several motorcycles on display. Join us for a night of family fun and action packed racing and "Feel The Thunder". FOUNTAIN CITY (July 31) – A great count of cars were on hand for Winona Radio KAGE Budweiser Night at MISSISSIPPI THUNDER SPEEDWAY. With three heats in the WISSOTA Street Stocks, WISSOTA Midwest Modifieds, and USRA Modifieds, it proved to be a very exciting night of racing with intense battles in the WISSOTA Street Stock and WISSOTA Super Stock classes. The WISSOTA Midwest Modifieds had their issues stringing laps together, and the USRA Modifieds followed a perpetual winner to victory lane. Two rollovers in the Hornet division capped off the night. FOUNTAIN CITY (July 3) – For the second night in a row, fans were treated to some great racing at MISSISSIPPI THUNDER SPEEDWAY in Fountain City on the holiday weekend. Gary Wiersgalla got total redemption with a big win in the WISSOTA Super Stocks after coming off a DNF the previous night. Danny Hanson returned to victory lane in the WISSOTA Street Stocks, and Josh Angst nailed the win in the USRA Modified caution-draped feature. Kyle Jumbeck did a wheel dance as he ran both the WISSOTA Midwest Modified division as well as the USRA Modified class by changing tires and adding a spoiler. 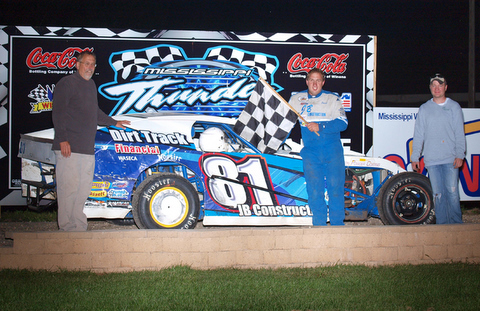 Jake Timm who runs the Midwest Mini Mod division was honored as the Winona Radio Driver of the Week. FOUNTAIN CITY (July 2) – An outstanding crowd, fabulous weather, and hungry drivers provided a wild show on Thursday, July 2nd to set off the holiday weekend at MISSISSIPPI THUNDER SPEEDWAY. The Dart WISSOTA Late Model Challenge Series’ first point race event got into full swing after its first events were rained out. Twenty-nine drivers checked in for their first adventure at the new speedway. Steve Laursen, Brent Larson, and Don Copp topped their heats in the WISSOTA Late Models while Adam Hensel won the B-Main and Jake Redetzke notched the Debbie’s Dash win. Non-stop WISSOTA Street Stock action saw an end to a winning streak while the WISSOTA Super Stocks had drama; lots of drama. FOUNTAIN CITY (June 26) – Friday, June 26th proved to be a turning point in the season as the track showed major improvements on Fastenal and Stone Machinery night at MISSISSIPPI THUNDER SPEEDWAY. Great racing action in all classes gave the crowd exciting and action-packed fun. All Lacrosse county residents who showed proof of residency were allowed free entry into the grandstands compliments of Lacrosse Brewing Company. 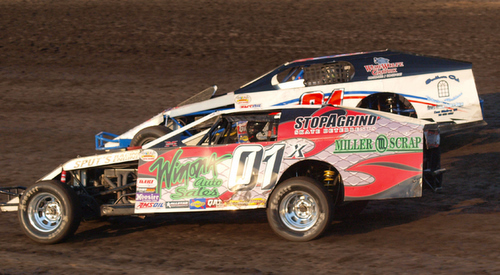 USRA Modified driver John Doelle was crowned Winona Radio’s Driver of the Week. Ben Anderson led flag to flag in the WISSOTA Midwest Modified division while Danny Hanson collected his third feature in a row in the WISSOTA Street Stocks. FOUNTAIN CITY (June 19) – Clean sweeps and rolls added to the nights' excitement before it ended complete; and with no rain at MISSISSIPPI THUNDER SPEEDWAY in Fountain City, Wisconsin as make-up features to complete the previous week’s rainout were run in addition to the full regular show. Winona Radio Driver of the Week was WISSOTA Street Stock driver Fred Prudoehl of Winona. Make-up feature number one on the night was the WISSOTA Midwest Modifieds. Chris Gilbertson shot ahead of Tyler Creeley at the drop of the green flag, and Travis Krause raced side by side with Creeley for second place. Dalton Yohnk quickly charged to third place over Creeley as Pete Bushman and Dustin Scott wheeled into a fifth for fifth. Krause’s ride slowed to a crawl after a puff of smoke was seen and the only caution of the race realigned the field. As Krause went pitside, Gilbertson was challenged by Yohnk, and Bushman and Scott raced side by side for third place. Kyle Jumbeck made a fast climb into fourth place which dropped Bushman to fifth. Yohnk took the lead over Gilbertson as Scott closed in on the second spot. The top four spots of Yohnk, Gilbertson, Scott, and Jumbeck had their own race going a distance ahead of the rest of the field as Creeley took fifth place from Bushman. Jumbeck dove low under Scott and eventually took second place from Gilbertson. Yohnk kept a steady grip on the lead followed by Jumbeck and Gilbertson. Jumbeck finally made the pass on Yohnk and never looked back. For his sixth win on the season, Jumbeck lead Yohnk, Gilbertson, Scott, and Creeley across the finish line. It was Friday in Fountain City, so yes, it rained. For the entire duration of the shortened program, a light rain kept a steady pace over the track eventually picking up enough to end the night after all heats were completed. But before the inevitable, the evening started out with accolades for the Winona Radio Driver of the Week. WISSOTA Super Stock driver Gary Wiersgalla was named the previous event’s driver of the week and was the bearer of the flag for the National Anthem. The WISSOTA Midwest Modifieds then zipped onto the track for their heats although a light rain persisted. The heat events for all classes progressed to intermission at which time blading on the track began. The A and B Mini Mods ran their features on the small track as work continued on the main track. FOUNTAIN CITY (June 5) – Late Fall track reconstruction, late Spring thaw, and incessant rain so far this season prompted promoter Bob Timm to make an executive decision in cancelling racing action for Friday, June 5. New clay had already been worked into the smaller track inside the main track which hosts the Mini Mods. The next big task at hand was to do the same on the main racing surface. FOUNTAIN CITY (May 29) – Jack Baehman Attorney At Law was the sponsor of the night at MISSISSIPPI THUNDER SPEEDWAY. But before the night was over, it was Baehman who should have been on the receiving end of his cash giveaways to those in the stands when he took a tumble in the feature after catching a rut and flipping on his lid. Baehman was not the only driver to go tires up on the night as two Mini Mods and a Hornet also did acrobatics. Memorial Day is a day of remembrance of our soldiers and those who have gone before us. FOUNTAIN CITY (May 25) - This Memorial Day was a bit different for MISSISSIPPI THUNDER SPEEDWAY. Over the holiday weekend, the speedway lost a member of its own family when Jordan Murphy was killed in an automobile accident. Murphy’s friends and speedway personnel honored him with a lap of silence prior to the National Anthem. FOUNTAIN CITY (May 22) – A long night was ahead for those at Mississippi Thunder Speedway as make-up features were first on the card Friday, May 22nd to start the evening off. The previous week’s events got cut short by the heavy mist that blanketed the area eventually calling an early end to the show. Tina and Tom Lockner of Remax Results and Advisor’s Mortgage were the sponsor of the night and had water bottles, Frisbees, and more for giveaways to the fans on night three at MISSISSIPPI THUNDER SPEEDWAY. The Cochrane-Fountain City Varsity Boys’ Basketball team was on hand to conduct the 50/50 drawing to raise money for their team. A near overflowing crowd was on hand to witness the season opener of the new Mississippi Thunder (and Lightning) Speedway in Fountain City, Wisconsin. 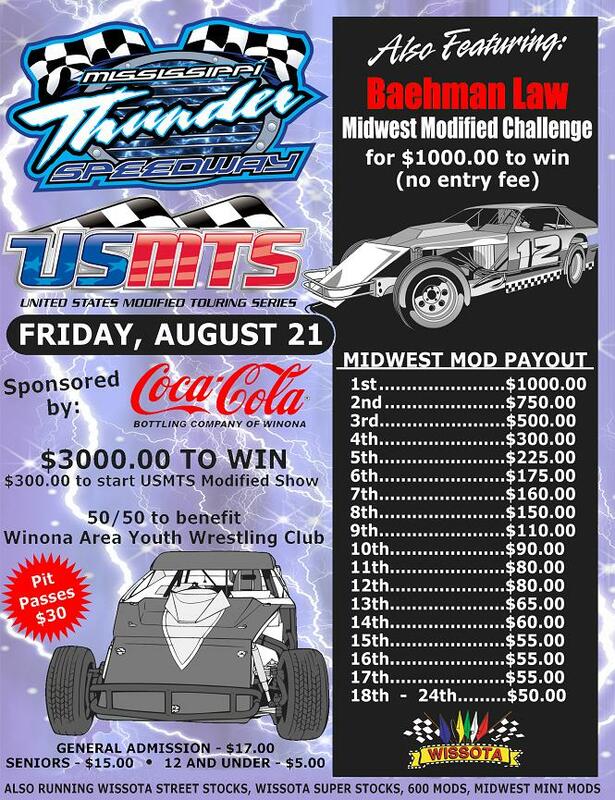 Hosting WISSOTA Midwest Modifieds, WISSOTA Street Stocks, WISSOTA Super Stocks, USRA Modifieds, as well as Hornets and two classes of Outlaw Mini Mods, the newness of it all rolled into a near complete show by night’s end. Booth door entry keys have been changed. Please contact Bob Timm at 507-429-9639 to make arrangements to pick up your booth key some time this week. Friday April 24th will mark the changing of a an era, as the season opener at the newly constructed 1/3 mile oval(MISSISSIPPI THUNDER SPEEDWAY)is set. The evenings events will be sponsored by Red Box, and will feature a coloring contest for boys and girls 12 and under to win a free bike. Crayons and pictures to color will be supplied at the race track during the races on the 24th. Kids will be allowed to either color the picture that night and turn it in, or take the picture home to color and turn it in the following week at the races. At that time, they will be judged, and a girl and a boy winner will be chosen and awarded a new bike compliments of Red Box. With a practice under our belt and weather looking to be cooperative for the rest of the week, we are confident the speedway will be in great shape for the season opener. We will continue to tighten the race surface to provide a smooth multi-groove race track. 600 Mods added to the weekly show. FOUNTAIN CITY (February 28) – Several people gathered at the Hilltop Bar and Ballroom high atop the bluffs of Fountain City, Wisconsin to honor the final track champions and drivers of the historic three-cornered track. Now but a memory, Tri-Oval Speedway honored first-time champions in all but one of its classes. When the track opens back up in the Spring, it will be a 3/8 mile oval tearing out of the gates at MISSISSIPPI THUNDER SPEEDWAY with new management. Trophies were awarded to the top ten in the WISSOTA Street Stocks, WISSOTA Midwest Modifieds, WISSOTA Super Stocks, and USRA Modifieds. Top five trophies were presented in the Hornets, Outlaw Mini Peewees, Outlaw Mini Juniors, and Outlaw Mini Seniors. In the WISSOTA Street Stocks, Danny Hanson clinched his first Tri-Oval Speedway track championship. Three-time track champion Kevin Hager finished second followed by the 2007 Track Champion Brad Dennis. Tom Hund sealed fourth place followed by Dan Bork in fifth place. Kyle Jumbeck barreled to his first track championship grabbing the WISSOTA Midwest Modified in convincing fashion with 12 feature wins on the season. Following Jumbeck in second place was the 2007 Track Champion Josh Angst. Travis Krause finished third, Erik Kanz finished fourth, and Chris Gilbertson rounded out the top five. Troy Langowski capped 2008 with yet another WISSOTA Super Stock Track Championship bringing his track championships total at Tri-Oval Speedway to six. He was chased very closely all season long by Bob Fort, who finished second place. Adam Stockhausen, Jon Duffy, and Kevin Hager completed the top five. 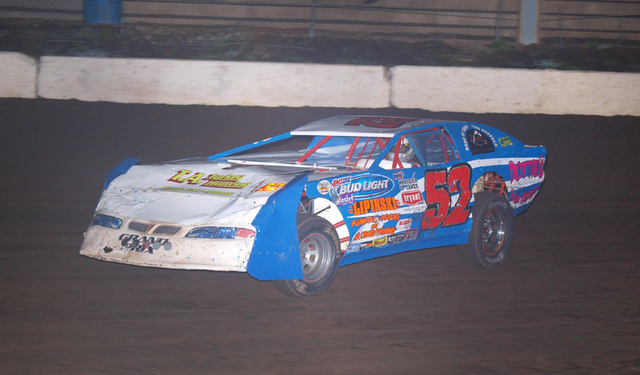 Brad Waits found his way to the front multiple times in 2008 which led to his first Tri-Oval Track Championship in the USRA Modified division. Josh Angst made it twice as nice also finishing second place in the USRA Modifieds. 2007 champion Bob Timm remained strong finishing third place while Paul Hamernik and John Doelle finished fourth and fifth respectively. Michael Hofer won his first track championship by sitting atop the Hornet division followed by his twin brother Lance in second place. Shawn Mann, Carroll Hundorf, and Shawn Applen rounded out the top five in spots third, fourth, and fifth. Dylan Buckland won the Outlaw Mini Peewee championship followed by Alex Stevens, Rachel LaDuke, Matthew Schliesman, and Tanner Brown. Nia Gardner topped the Outlaw Mini Junior division followed by Alex Williamson, Brandon Reutzel, Mike Stevens, and Brady Keefe. Cody Gardner took the championship in the Outlaw Mini Senior division followed by Brandon Reutzel, Charlie McNally Jr., Jake Timm, and Don Werner. In 2009, the Outlaw Mini’s will be divided into only two division, ages 10 and under and ages 11 and up. This will allow for the addition of the new 600 Mod Outlaw Mini to join the race card. Special awards, as voted via the track website, were presented to several drivers. The Most Improved Driver award went to Kyle Jumbeck, and Kevin Hager was voted for the Sportsmanship Award. Bob Timm received the plaque for the Best Looking Car, and the Hard Luck Award was presented to Carroll Hundorf. The Best Appearing Outlaw Mini went to Alex Stevens, and the Rising Star honors went to Kyle Jumbeck. Josh Angst was voted Fan Favorite. 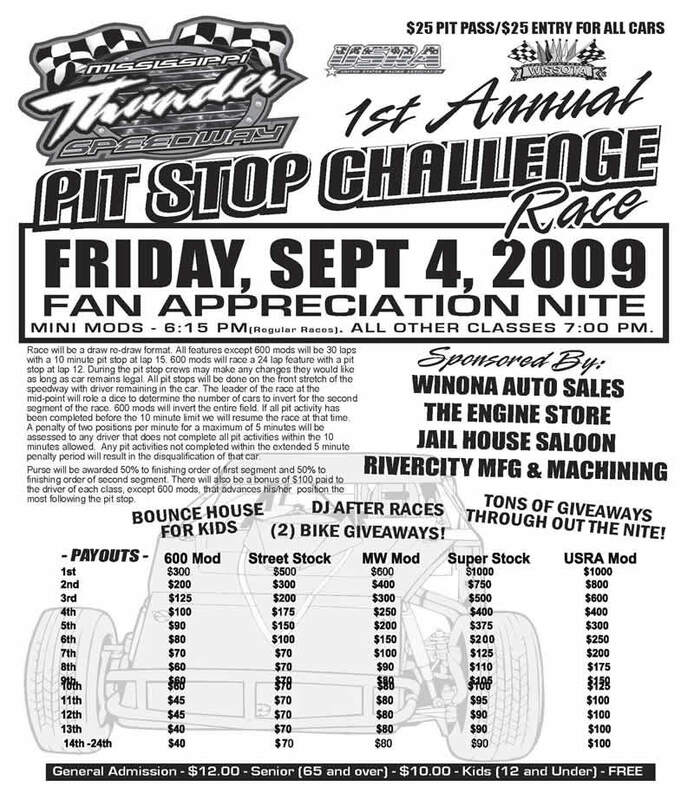 Coming on board with MISSISSIPPI THUNDER SPEEDWAY in 2009 will be River City Manufacturing & Machining as the USRA Modified class sponsor, and Winona Auto Sales as the WISSOTA Super Stock class sponsor. The Jailhouse Saloon will sponsor the WISSOTA Street Stock division, and The Engine Store will sponsor the WISSOTA Midwest Modified class. Redbox+ will sponsor the Outlaw Mini classes, and MISSISSIPPI THUNDER SPEEDWAY will be the Hornet class sponsor. The 600 Mod Outlaw Mini will be sponsored by Oak Ridge Fabrication. A big thanks go to the many people and businesses who helped make the banquet a success, including but not limited to Hank’s Racing Supply, Maxim Graphics, Mississippi Welders, Windy Ridge Motor Sports, Motor Parts & Equipment, Lou Fegers Racing Equipment, The Engine Store, Fastenal, Coca Cola. And so closes a book in racing history. Tri-Oval Speedway is no more. Possibilities, dreams, and new history are to be made with the new MISSISSIPPI THUNDER SPEEDWAY. The season opener is scheduled for Friday, April 17th, and the start time will be 7 p.m. Keep an eye on the track website www.mississippithunder.com for updates and information leading up to the grand opening of MISSISSIPPI THUNDER SPEEDWAY. Interested in watching the races in Style? Mississippi Thunder currently has a limited number of both Private booths and decks available for the 2009 racing season. Please contact Bob at 507-429-9639 or email at btimm@mississippithunder.com or more information.